Tuesday’s visit to Kiev by European Union (EU) High Representative for Foreign Affairs Catherine Ashton was accompanied by the usual tired rhetoric about democracy, freedom and the rule of law. Before her departure from Brussels, Ashton had let it be known she wished to mediate between the government and the opposition that has been leading protests against President Viktor Yanukovych. In reality, her discussions concerned the extent to which the demonstrations of the past weeks have led some leading oligarchs to now side with the EU, impelling the Ukrainian government to make a U-turn. The EU has looked on with satisfaction in recent days as private broadcaster 1+1, owned by banker and tycoon Ihor Kolomoyskyy, and the Starlight Media TV Group of the oligarch Viktor Pinchuk—who owns six television stations and nine newspapers, publishers and media enterprises—reported far more positively on the opposition to the government than previously. Ashton wants to use the opportunity to find a compromise between Yanukovych and the opposition around boxer Vitali Klitchko that furthers the interests of the EU and the US. 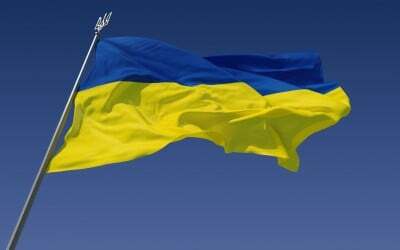 To this end, US Assistant Secretary of State Victoria Nuland is also expected in the Ukrainian capital. Business and official public life in Ukraine are all determined by a handful of immensely rich oligarchs. While some of them, such as the mining barons in the Donets Basin and the energy-dependent chemical concerns have historically oriented to Moscow, the employers in western Ukraine are closer to the EU. But for the oligarchs, what is more important than the question of orientation to the West or East is increasing their wealth and influence. Many regard cooperation with the EU as a better means to further their riches, leading to tensions in the governing party last month, when Yanukovych announced Ukraine would not be approving the Association Pact with the EU. Rinat Achmetov is the country’s richest man and rules over an empire built on coal and steel. According to Forbes, he possesses a fortune of $15.4 billion, and heads the so-called “Donets Clan”, which includes President Yanukovych. The “Donets-ites” also include Prime Minister Mykola Azarov and the chief of the national security and defence council, Andriy Klyuyev. The multibillionaire Achmetov lives mainly in London, at his residence “Hyde Park Number One”, from which he manages not only his industrial and financial enterprises, but also controls some 50 parliamentary deputies in the Kiev parliament. A second group of oligarchs in the presidential camp is directed by Dmytro Firtash, a multimillionaire (with an estimated fortune of $700 million), who is a close ally of the chief of staff Sergei Lyovochkin. This group has its base in the chemical industry and in the trade in gas. Its television and radio broadcast group Inter, the country’s largest, supports the opposition around Vitali Klitschko, much to the anger of the “Donets-ites”, and thereby exerts pressure on Yanukovych. Both groups have been fighting for months, the conservative German dailyFAZ reports, under the headline “Viktor Yanukovych in the hands of the oligarchs”. Each group accuses the other of behaving like Moscow’s puppets, and each presents itself as made up of glowing Europeans. Representatives of the “Donets-ites” point to the fact that the “Firtash Group” receives cheap natural gas from Russia for their “Eastchem” chemical concern, and ask tellingly what Moscow is expecting in return. Firtash supporters, like the deputy Inna Bohoslovska, whose resignation seemed to some to herald an uprising against the president, have turned the tables and claim that key figures in the Donets Clan are Moscow’s puppets. This policy coincides with the interests of the EU, which is pursuing its own aims. It wants to transform Ukraine into an extended workbench for European business, which can produce there at lower wage rates than China. At the same time, Ukraine, with its 46 million inhabitants, raw materials, massive and productive agricultural lands and market for goods, represents an attractive target for European business. For the working class, the previous policy influenced by Moscow had no less disastrous consequences. The wealth of the oligarchs rests on the systematic destruction of all the social gains since the dissolution of the Soviet Union and the reintroduction of capitalism.